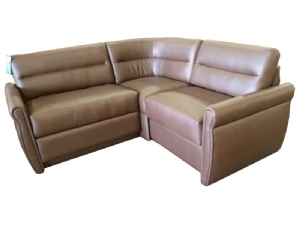 Bradd & Hall offers a very large selection of Sofas for your Motorhome, Travel Trailer, Fifth Wheel, and Destination Trailer. 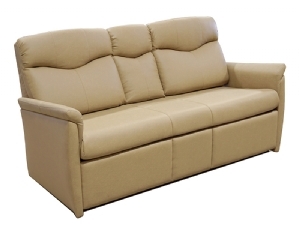 Our selection of RV Sofas include Flexsteel, Lambright, and Villa. We stock several different models that will range in size and features. Be sure to know the dimensions of the space you will be putting the sofa and find the model for your needs! Flexsteel Jackknife Sofas offer a normal sofa for the living space and lays down to convert into a bed for extra sleeping space. Flexsteel Sleepers Sofas function as a sofa and then a bed via a pull-out mattress. The bed will require 86” from the wall to fully open and most have options for flat floors and raised floor slideouts. Flexsteel FT Sofas converts into a lay down bed, much like the jackknife sofa, but offers the added advantage of a full-sized bed in an overall smaller size. The FT Sofa is equipped to handle an air mattress. Lambright Luxe Sofa Sleepers are Amish made, featuring a very comfortable sofa and a premium innerspring, pull out mattress. 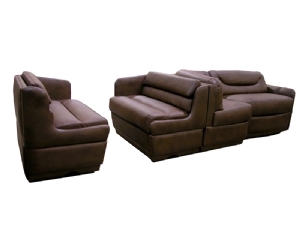 Lambright Double Recliners offer several different varieties including smaller version without a center console or the larger version with a center console with cup holders. These true wall huggers can sit just 3” from the wall and offer the maximum comfort, functionality and storage for a sofa recliner. 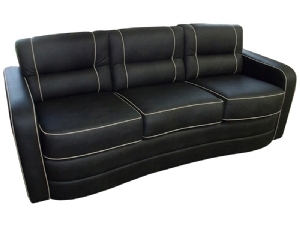 Villa Sofas are incredibly versatile and you’ll find that most models can be build according to your needs. Whether you need a Jackknife sofa or with a pull-out mattress, find your favorite style and choose your type. 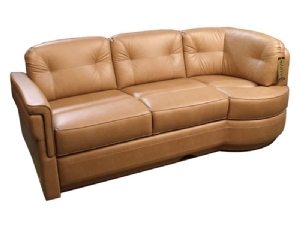 Villa is long known for their high-quality products and are more than happy to custom build a sofa for you! 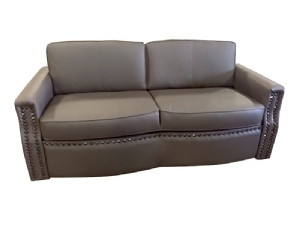 Villa Expanding sofas can also come as a Jackknife Sofa or with a Pull-out mattress the main difference is the expandable version can be adjusted based on your needs. The normal sized sofa will take up a corner of space but if you have company, extra seating space is helpful. The expandable sofa opens up more seating but at the cost of walking area. Villa Dormie Sofas can be converted into a flat area to place an air mattress on top. These models take up a little less room than a pull-out mattress so idle for small areas. The Villa J Lounges put a unique twist on the traditional sofa and separates into 2 separate pieces for easier installation. The Villa J Lounges offer a premier style and a very comfortable way to relax. Villa Custom Ensemble – Need custom furniture for your RV or boat? Let’s build together! 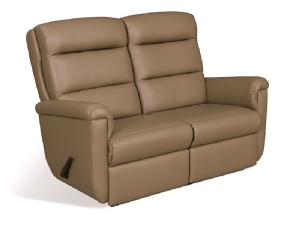 Browse these categories under "RV Sofas"